Telling our clients is that their beloved pet has tested positive for heartworm disease is among the toughest things we have to do here at Breckinridge Park Animal Hospital. Heartworm disease is a serious affliction that affects both domesticated and wild animals in the U.S. and many other parts of the world. Left untreated, heartworm disease can lead to a host of potentially fatal conditions including lung disease, heart failure and damage to other organs of infected animals. The heartworm life cycle consists of three phases. In the first phase (L1) microscopic newborn heart worms, known as microfilaria, are introduced into the host’s bloodstream where they live until being transported to a new host by a mosquito. Gastric juices in the stomach of the mosquito stimulates the L1 larva to molt to the L2 stage of development. Unless the L1 larva is transported to a new host, it will not develop to maturity. The L2 larva migrates to the salivary glands of the mosquito where it molts and transforms into an infective L3 larva. The molting process takes between 10 to 20 days and larva migration to the salivary glands can be fatal to the mosquito if it ingests too many L2 larva at once. Once the L3 larva has been introduced to a new host animal, it molts into an L4 larva within 7 to 14 days. The L4 larva travels through the host’s abdomen and into the lungs. Within 46 to 60 days it becomes an L5 larva. The L5 larva then migrates through small arteries in the lungs and eventually arrives at the host animal’s heart. Once inside the heart, the adult heartworm continues to grow and to mate with other heartworms to produce new L1 larva. The good news for pet owners is that heartworm disease is preventable. Here are some things you can do to prevent your cat or dog from becoming infected. There are several preventive medications available to keep your pet from becoming infected by L1 heartworm larva. 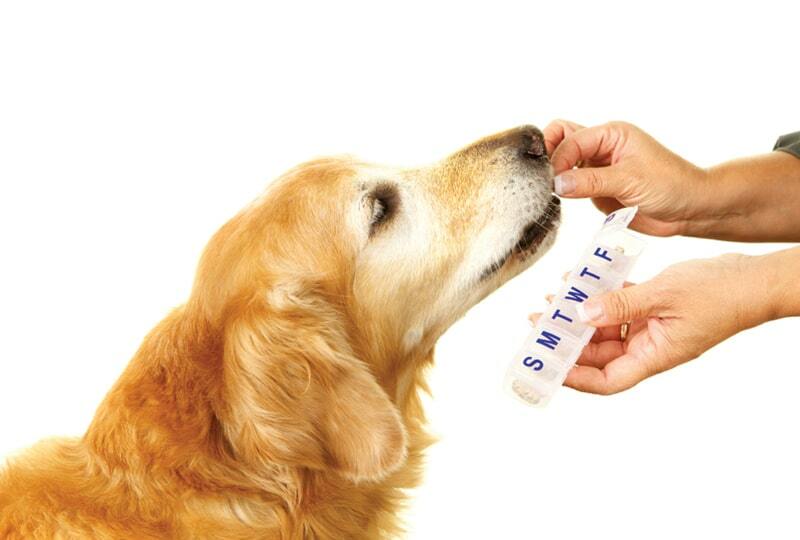 Monthly preventive medications are available for both cats and dogs and some are also useful in repelling other parasites like fleas and ticks. To become infected by heartworms, your pet must be exposed to them. Making your pet’s environment less hospitable to mosquitos can help reduce their numbers. So it’s important to remove standing water from your yard. Limiting the amount of time your pet spends outside can also help. But even indoor dogs and cats are susceptible to infection. Treating a pet that has been infected by heartworms is a two-step process. Step 1 in the process is to kill the microfilaria and larvae and address other complications that arise from the presence of heartworms. Following a diagnosis of heartworm disease, your vet may recommend administering heartworm preventative medications, a course of antibiotics and steroids to reduce inflammation and combat Wolbachia bacteria that is present in living heartworms and is released when heartworms die. Step 2 in the process involves a series of injections of an FDA-approved organic arsenical compound that into the animal’s lumbar or back, muscles. This phase of the treatment can take up to 60 days to complete. Once the treatment regimen is completed, your pet will need to be retested again six months. If your veterinarian discovers the presence of microfilariae, larvae or adult heartworms, the treatment will need to be repeated. To learn more about heartworm prevention and treatment or to schedule an exam and blood test, please call Breckinridge Park Animal Hospital at 972-690-6900 or complete our appointment form.